A couple of weeks ago a friend of mine took me along with her to ride the slide at the ArcelorMittal Orbital inside London’s Olympic Park. The building was installed at the Olympic Park as another attraction for those who had come to witness the exciting events during the 2012 Olympics. Those visiting the park were able to purchase tickets and see the sheer size of the Queen Elizabeth Olympic Park for themselves. It was closed for some time and later reopened as a tourist attraction allowing people to see the city from another perspective – the views of the city are awesome! But now it’s also home to the longest slide in the world. 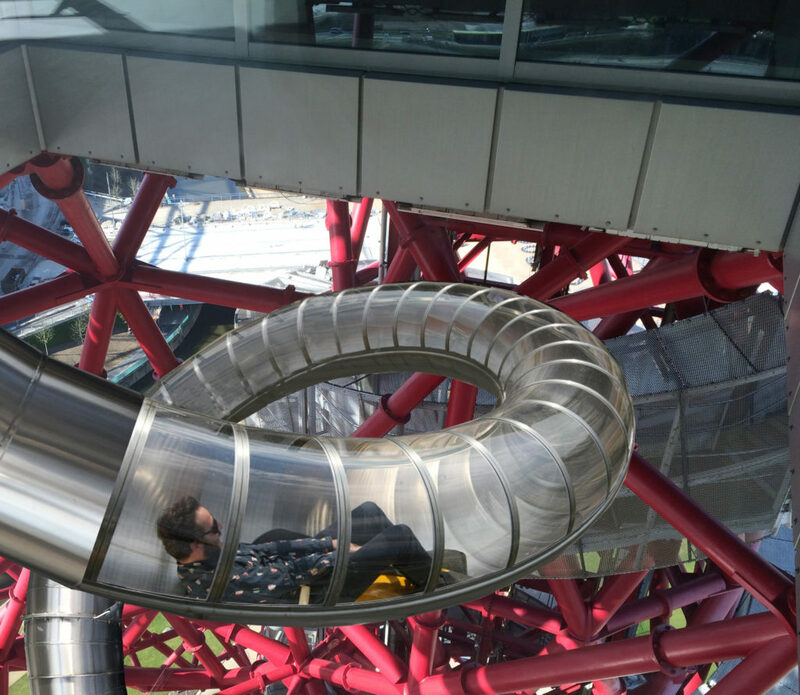 Those who take a ride on the slide travel at a top speed of 15 miles per hour. For one single person that’s pretty fast and I can certainly tell you that it feels even faster. It’s made up of 30 different sections including a corkscrew! Needless to say that when I got to the top of the tower I was secretly crapping my pants. I came to the decision to go first because deep down inside i’m a big scaredy cat and might chicken out if I went last. 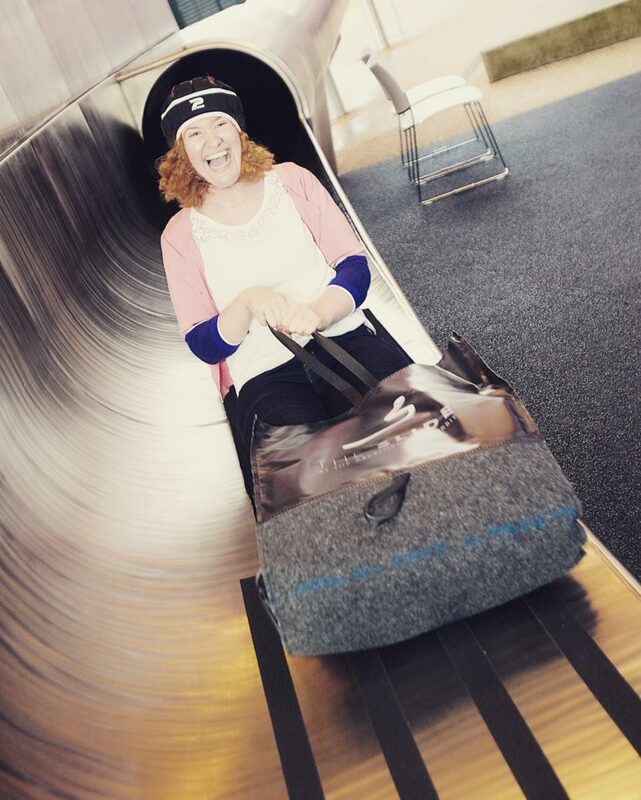 We were given those rugby style hats for protection along with elbow pads and then had to sit in a toboggan like object. When we were secure, we were told to lean back and just go. I may have screamed the tower down. It was steep, almost vertical and it was bloody terrifying. And then it turned pitch black. you couldn’t see anything and the slide kept swooshing you from side to side. And then there was an even more vertical drop. Holy cow it was scary. Suddenly there was light and it had come to an end and just like any other scaredy cat, I whooped when I got down and wanted to do it all over again! Sure, it was terrifying but it was damn good fun! 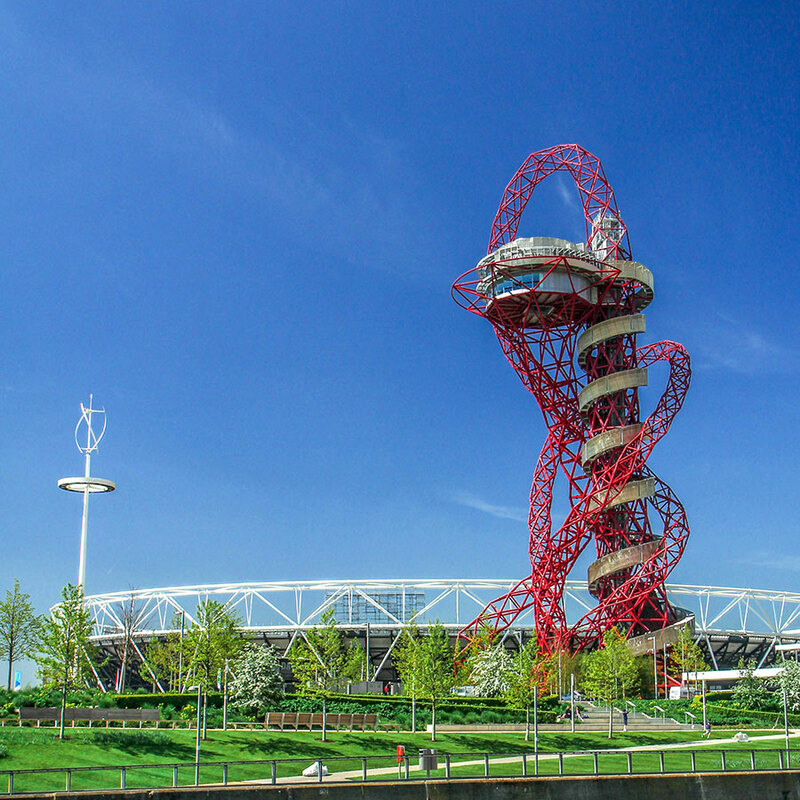 Riding the slide at the ArcelorMittal Orbit costs £15 which includes entry to the viewing platform as well as the scary and thrilling experience. Thanks to ArcelorMittal Orbit for taking the photos. All images belong to them. You are braver than I am! I don’t know if I would be able to do it at this point in my life. It does look exciting, though. I’d like to think I’d swallow my fear and have a go at it! I admire your bravery. Hats and elbow pads? No, thank you very much. I would rather walk around. Honestly, I would never be able to do it. Even reading about your experience was terrifying. Definitely give it a go! It’s good fun! Wow! That’s so scary yet thrilling. I am scared of such rides, but I do enjoy watching my friends having fun. Hahaha. This is me all over when it comes to roller coasters. I freak out and continue freaking out until I’m strapped into the seat. But by the time it’s all over, I’m ready to go again. This slide looks great! Getting up there would have been the hardest part for me. Oh this looks like SO much fun! I always go first too, just so that I have no time to chicken out! Next time I’m in London I will definitely check this out! Wow! That thing looks crazy. I’d have to have a shot before doing that!